Where is God calling us Now? 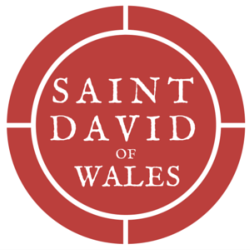 Welcome to the Strategic Plan of Saint David’s 2018! ​What did we create? A ‘Playbook’ articulating Who we are, How we show up, What is our call, and What’s next! A beautiful and broken people worshiping God, journeying in faith, and growing in the Spirit together. ALL this information came from YOU! Thank you for sharing so openly and honestly to help us articulate where God is calling our community!!! ​​We have been listening and praying about all the wonderful information you have shared so far about what you love about St. David's. Part of growing into the future is our prayerful understanding of where we are and what matters most. We want to share some of what we've learned from our coffee hour activities and dig even deeper! ​Take a look at some of the great things we've learned so far! Why Do You Come to Saint David's? We have made progress. We have raised money. We have approximately $50,000 in the roof fund to date and will receive a grant from the diocese for an additional $80,000. We have received $25,000 from the diocese to assist in upgrading the kitchen along with an additional grant for $50,000 over the next two years. This is good stuff. And it has made us think more deeply, carefully and thoughtfully in how to best move forward. This is where we need you and your thoughts and input. We want to widen the conversation and spend the next three months in developing a clear mission and vision statement as well as a master plan congruent with such a vision for our campus. We will enlist the services of a facilitator to assist us in developing and articulating our mission and vision. In addition, we will be enlisting the services of an architect experienced in church remodels/renovations with particular attention to mid-20th century buildings and can help the building articulate and reflect our vision and mission. Some things will be obvious. We need a new roof! We need to fix the cupola! We need to update the kitchen! But the right planning and strategies can hopefully help us maximize our investment and benefit the parish for years to come. We truly do need you to be part of this process. I hope you will plan to attend, and I look forward to seeing you all. Childcare will be provided. Included below are some FAQ's that I hope are helpful. What? I thought we were redoing the roof this summer? Is it going to happen or not? And what about the leaks? • We had planned to redo the roof and cupola this summer. We had vetted a number of contractors and selected one. And we needed a written contract. We ran into difficulties, particularly in regard to the cupola. Our attorney did not believe we were protected should the repair not actually work. We discussed this with a number of folks who have had roof work done to their parishes. It became clear we need what is called an “envelope contractor.” This is a person, ie an architect, who assesses and identifies what work actually needs to be done and takes responsibility for the recommendations and design. The building contractor must follow those specifications. We were missing this in our planning and decided we were better off to make sure we identified the true fix and not the contractor's best guess. • In addition, it turns out the building was built in several phases. There is a particular area of the roof where there is a vertical line distortion. This is in an area where there has historically been more leaking. This also needs to be assessed and addressed at the time of the roof replacement. This is not anticipated to be a major repair, but one which will certainly extend the life of the new roof. • We may not do the roof this summer. We are having the gutters cleaned at a more frequent interval and a parishoner donated some new gutters for the courtyard side of the building which has greatly helped with water flow. The roof itself may be able to get through another winter. • The cupola is the most difficult challenge. It leaked all through Fall, but has not leaked since February. That is good news, but it seems we will likely have to make a decision sooner instead of later for this particular structure. We can concurrently work on identifying the problem while also working on some possibilities for the cupola. Have we selected an architect? Do we really need an architect and won't that cost a lot of money? • We have not hired an architect but have met with one so far. We are in the process of setting up times with several others in order to see who may be a good match for us and has the needed expertise. And it will be costly. The value is getting long term plans that are reflective of vision and mission. It will assist us in identifying what we will choose to do as well as what we will intentionally choose not to do. We do not have specific numbers as yet. What will this process look like? • We are putting together a Strategic and Master Plan committee to look at who we are, where we are headed and what we will need to get there. We had an All Parish Meeting on July 9th, and will be having our next one on August 13th after church in the Sanctuary. How can I be a part of this process? You can start by filling out our Holy Homework, an initial survey about our dreams and ideas. Our next All Parish Meeting will be on August 13th after church in the Sanctuary, please join us. Keep this whole process in prayer, all that we dream and hope is at best a small part of the dreams that God has for us and for our neighborhood. 2015 Parish Profile compiled during our rector search. This profile helped to bring us The Rev. Kerlin Richter! Some of the information included in this Parish Profile has changed since it was written. Please view this as a historical document for context purposes only.